Hi everybody! I'm back with another beauty product review for you! 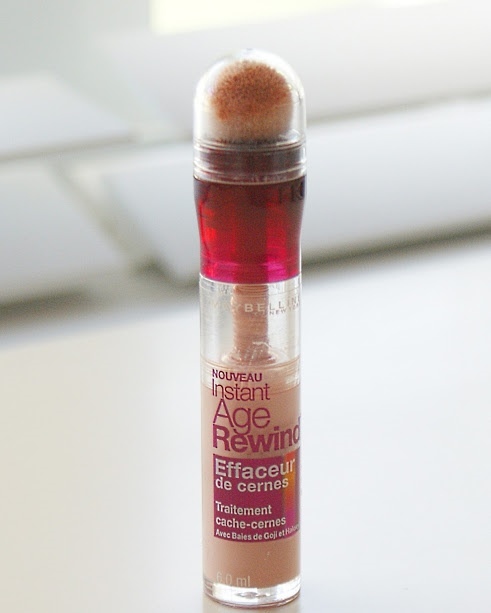 :) Check out this Maybelline Instant Age Rewind Eraser Dark Circle Treatment Concealer - Brightener, I believe there are 6 neutralizing shade to choose from. The applicator looks interesting and soft. 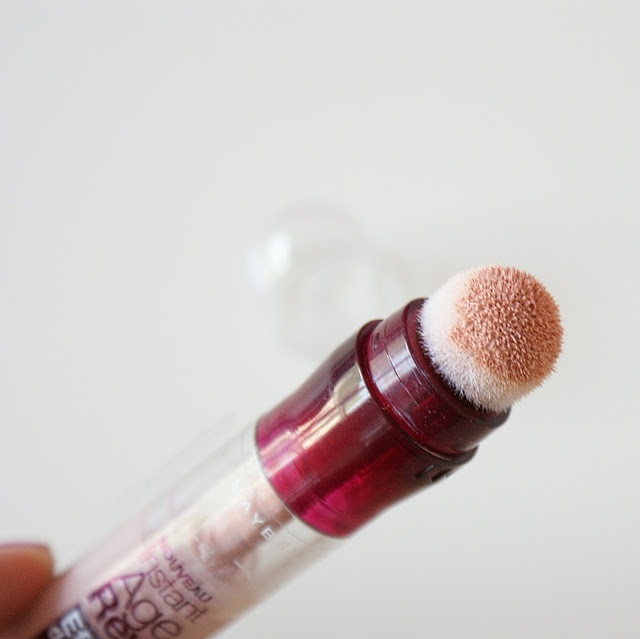 You have to twist it a couple times (there's an arrow pointing where to twist it) so the concealer will come out. Remember don't twist it too much, or else tons of product will come out. The shade that I got is Brightener - it has a pink / peach tone. It blends well, and didn't crease at all. It lasted all day long. I never had any allergy reaction as well when using it, which is great! Overall, I really enjoyed this product, and I will be repurchasing it again. I recommend it and will give it 4.5 star out of 5. Remember, to only use products that is best for your skin.